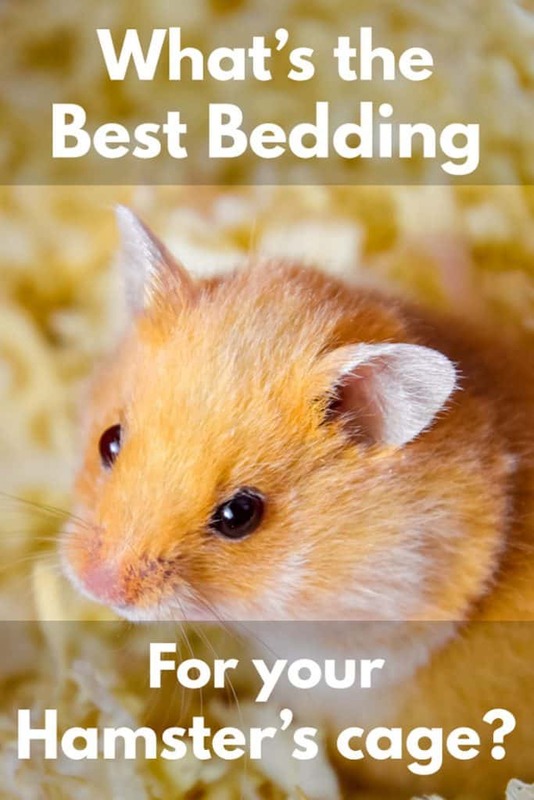 As a hamster owner, you might wonder what’s the best bedding for your hamster’s cage? After all, we all want our little furry balls to be as comfortable as possible. Now, each one of these bedding materials will provide your hamster with a comfortable and clean environment. But there are certain situations where one might be more ideal than another; due to this, we’ll discuss each one more in-depth below, which will help you pick the right one. As mentioned above, any of those five products would make your hamster’s life extremely comfortable. However, even though they’re high-quality products, they still have their own set of pros and cons. And with this in mind, we thought going over them individually would help you figure out what bedding would work best for your hamster. If you want fun bedding material, look no further than Carefresh Colors Pet Bedding. See, with this product, you can get the bedding in three different colors: blue, pink, or purple. Pretty cool, right? 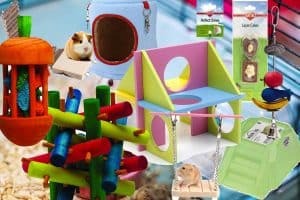 I know, this benefit seems pretty owner based, but it has some other fantastic aspects that will make your hamster’s life better too. For instance, this bedding is non-toxic and absorbs an immense amount of liquids: three times its weight. 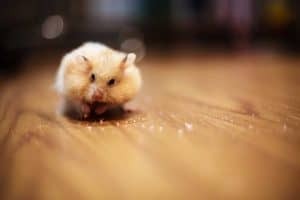 Both these benefits will ensure your hamster lives in a safe, clean environment for many years to come. It also helps that the material is incredibly soft, which will make sure your hamster is enjoying peak levels of comfort. But there are a couple of downsides you should know about before purchasing. Given the benefits mentioned above, you won’t be shocked to learn this bedding’s pretty expensive. Therefore, if you’re looking for a bargain, you should steer clear of this bedding material. Plus, some customers have complained about the smell being overwhelming. Now, this issue was somewhat isolated among the customer reviews; however, it’s still something you should take into consideration. The Healthy Pet Natural Bedding is an incredibly versatile product. See, it comes in a bunch of different sizes to ensure it will be an appealing product for whatever type of customer comes along. Honestly, I can’t envision someone not being able to find a size that wouldn’t fit their needs. Plus, this bedding is virtually dust-free, which means your hamster will be less prone to respiratory problems. This might not sound like a big deal, but other bedding have been known to cause these sort of issues; pine and cedar wood shavings are the biggest culprits. Asides from this, it can absorb three times its weight just like the Carefresh Colors Pet Bedding. Therefore, it shouldn’t have any issues dealing with all your hamster’s bathroom requirements. I know it’s disgusting to think about, but that’s the most significant factor you should examine when picking out bedding. If you don’t, you could end up with some disgusting issues on your hands. Thankfully, with this bedding, this problem is a non-factor. As a result, you shouldn’t have any doubts about at least considering this bedding, especially, given its incredibly low cost. However, you should be aware of one little issue I can across in my research; some customers complained about the material being a bit too stiff. Now, if you have a hamster that spends a lot of time burrowing, this could be a serious problem. Otherwise, I see no other reason why this bedding won’t be an excellent purchase for any hamster owner. Some customers complained about the material being stiff. The second Carefresh product in this list, Carefresh Ultra Pet Bedding, isn’t too much different than its predecessor. But there are two very essential differences between them. See, this one lacks the color options the other one had; however, it’s considerably much cheaper. Now, you must realize the lack of different color options doesn’t hurt its quality. In fact, the only reason the price’s higher is because of the additional colors. For instance, this bedding can also absorb three times its weight and is made of incredibly comfortable material. As a result, if you choose to go Carefresh, you must decide how much colored bedding means to you. In my personal opinion, I’d opt for this one over the first Carefresh product because of the price difference. It’s just too much of a bargain to pass up for somebody on a budget like me. Now, this realization doesn’t mean I’d pick this one over the other three products on this list. After all, there’s still an issue that haunts this Carefresh product, the smell. And as someone who has a low tolerance for bad odors, I’d have to think hard about this issue before purchasing. Nonetheless, this bedding is still near the top of my list because it really does do its job well. It also helps that the price isn’t outlandish, which will appeal to my bargain buyer mentality. Therefore, if you’re looking for a simple, low-cost option, this bedding might be the one for you. Aspen Shavings have one clear advantage over the rest of the products on this list; they give the hamster’s cage a more natural feel. In other words, this bedding will mimic the environment your hamster would be accustomed to in the wild. Now, this aspect has its advantages and disadvantages. For instance, this material is remarkably well-suited for burrowing, which makes it ideal for relatively active hamsters. But on the other hand, the bedding’s smell has a natural-esque feel to it as well. Honestly, the smell will probably be a real issue for some of you, which is why I implore to think hard about this before buying. After all, you don’t want to use this bedding and have your hamster love it only to realize that the smell is unbearable for you. With this in mind, I’d recommend being realistic about the impact a bad odor can have on you. But if you think you can bear it, there isn’t a better bedding on here for your hamster than this one. It’s just everything they could ever want. Although since it mimics their natural environment, the bedding is a little stiff than the other beddings. Therefore, if you’re looking to pamper your older hamster, you might consider looking at another bedding. Our last bedding, the Kaytee Clean and Cozy Pet Bedding is the cheapest option on this list. However, the quality doesn’t suffer because of its lower price. In fact, in some cases, it vastly outpaces its competitors. For example, it absorbs six times its weight; therefore, it should have no issues dealing with your hamster’s bathroom needs. Honestly, it might even be a little excessive, but a little extra protection never hurt anyone. 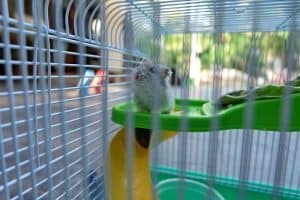 Plus, it has an incredibly useful odor control system to ensure the cage’s smell never gets out of hand. As someone who plans on having the hamster cage in their bedroom, you could see how this could be extremely beneficial to me. Otherwise, this bedding’s pretty run of the mill and will do everything you’re expecting without hassle or complications. Honestly, this product is easily my favorite on this list because of the incredible price and quality combination. But my preference for this product doesn’t mean there isn’t any issue with it. In fact, there’s one problem that was hard to overlook; the bedding was described as clumpy or stiff by multiple customers. Now, if you’re looking for incredibly comfortable bedding, this product isn’t for you. However, if you’re looking for something affordable and simple, this option is the one for your hamster. After going over these fantastic products, you should have a good idea of which one would meet your needs. But there’s one question still rattling around in head isn’t there? And it’s most likely the following question: how often should I change the bedding in a hamster cage? How Often Should You Change the Bedding in a Hamster Cage? The answer to the question of how often should you change the bedding in a hamster cage is not as simple as you might think. The ASPCA recommends changing the bedding “once a week” In doing so, you’re making sure your hamster’s cage stays a clean and healthy environment. After all, we must make sure our favorite little friends stay in our lives for as long as possible. And by keeping their habitats in peak condition, we help this become a reality. Considering you’re now hamster bedding experts, it’s time you make that final decision and purchase the perfect product for you. Once you get the right one, I promise neither you or your hamster will regret it!